We do everything we can to make it easy for you to do business with G&O. Our contract manufacturing customers are provided a dedicated project manager for a single point of contact for product specification transfer, trial planning, project timelines and initial production. G&O can provide full turnkey manufacturing and customer support from concept to production to delivery. We are capable of manufacturing all types of wet wipes as well as liquid fill. 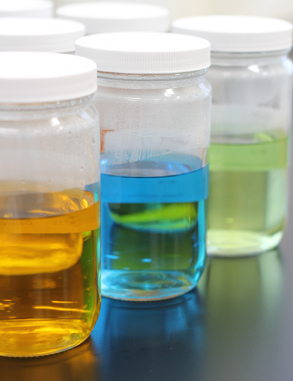 We do our own in-house blending, have our own on-site laboratories, and provide regulatory guidance in our wet wipes and liquid manufacturing. We boast highly efficient, low-waste manufacturing processes. Our highly predictable performance promotes order/delivery reliability. Learn more about the consumer products we produce. Our in-house blending systems are 316 stainless steel construction. 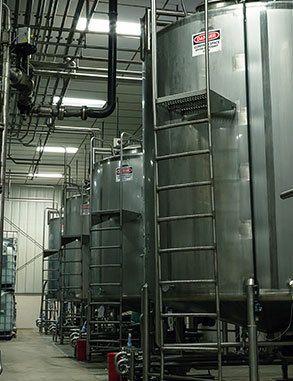 A USP grade water system is utilized throughout the blending system, is used as an ingredient, and is exclusively used for cleaning and sanitizing processes. The system’s manifold design was specifically designed to minimize bioburden. We utilize fully validated cleaning and sanitizing processes for all wetted surfaces. G&O treats all liquid blending with the same care as regulated drugs; this is our minimum expectation. Guy & O’Neill’s in-house, fully equipped microbiological lab works in tandem with our analytical lab for quality assurance. Staffed with degree-holding professionals with many combined years of experience in the industry. Our rapid-detection equipment produces data within 48 hours. We are very proud of the fact that G&O has never had a market withdrawal or recall. Consider us an extended production facility for your consumer products brand!